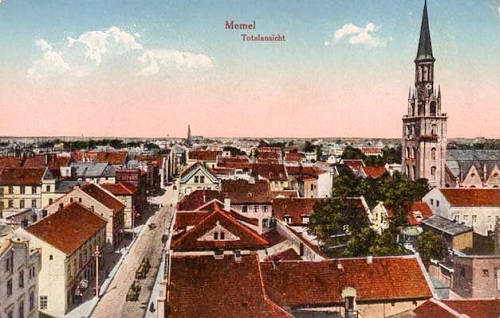 The Memel Territory, Memelland or Memelgebiet in German, or Klaipedia in Lithuanian, was established by the Treaty of Versailles in 1920 and placed under the administration of the Council of Ambassadors. A French military administration was established to rule the new territory. This territory, as with Saar and Danzig, was to remain under the control of the League of Nations until a future time, when the people of this region would be allowed to vote on whether the land would return to Germany or not. Unfortunately, that did not happen. The French Administration of Memel and the subsequent Lithuanian Occupation were political and social disasters. The region was conquered by the Teutonic Knights in the middle of the 13th Century. 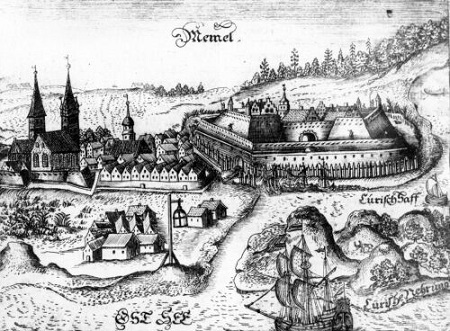 They constructed Memelburg ("Memel Castle"), and eventually, the City of Memel evolved around the vicinity of the castle. 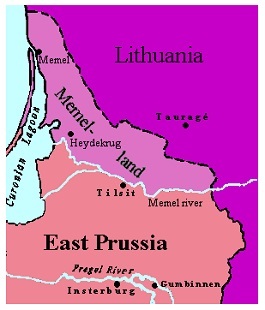 In the years following a peace treaty between the Teutonic Knights and the Grand Duchy of Lithuania in 1422, the Memel Region became part of the Kingdom of Prussia (Province of East Prussia), and it remained that way until the collapse of the German Empire in 1918. Following World War I, the sovereign state of Lithuania and the newly-created state of Poland both vied for control of the important Baltic seaport city of Memel (Klaipeda). At the time, the ethnic German AND Lithuanian inhabitants of the area DID NOT want to become part of Lithuania. They did agree that Memelland should become a Free State ("Freistaat Memelland"), which might eventually be reunited with Germany, but that did not happen. 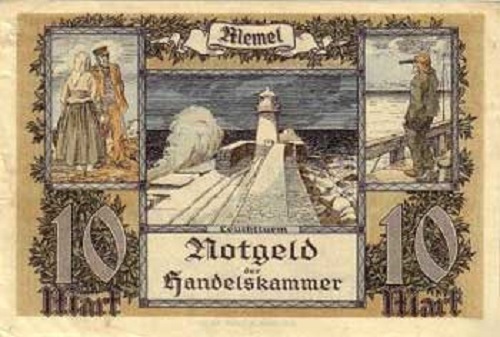 As with other Baltic ports of East Prussia, within the former German Empire, the German Area north of the Neman River ("Memel River" in German) was detached from Germany by the Treaty of Versailles. The territory was given the name Territoire de Memel, under the administration of the Council of Ambassadors, and in 1920, French troops were sent there to occupy and protect the former German Imperial territory. This was an arrangement doomed to failure, as the Slavic peoples of Eastern Europe, as well as the Germans, from the time of Napoleon, had never been very fond of the French Government or the presence of the French military within their homelands. At the beginning of 1923, Lithuania occupied the territory by force. The French administration didn't take any significant action to counteract the occupation, and at the end of January 1923, the territory was annexed by Lithuania. The annexation was recognized by the Council of Ambassadors in 1924 and by Germany in 1928.